1. In accessing the Service, you are responsible for (1) maintaining the confidentiality of the password; and (2) all activities that occur under your username and password. 2. Data about your activity using the Service may be monitored and recorded by CDW. You will be periodically asked to acknowledge this statement for continued access to the Service. 3. 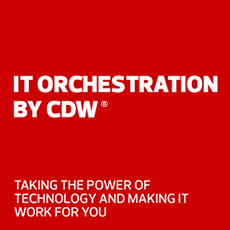 CDW offers the Service for reasonable activities such as the active use of e-mail, instant messaging, browsing the World Wide Web and accessing corporate intranets. High volume data transfers, especially sustained high volume data transfers, are not permitted. Hosting a web server or any other server by use of the Service is prohibited. Trying to access someone else’s account, sending unsolicited bulk email, collection of other people’s personal data without their knowledge, and interference with other network users are all prohibited. 4. CDW reserves the right to suspend access to the Service if (1) CDW reasonably believes that your use of the Service is unreasonably excessive; (2) you do not have a business relationship with CDW; or (3) you are using the Service for criminal or illegal activities. Non-compliance with this policy may result in disciplinary action, up to and including termination from CDW, termination of the relationship with CDW, and / or legal or other action. 5. You do not have the right to resell this Service to a third party. 6. You may not use the Service for illegal activity, effecting security breaches, or to otherwise disrupt network activity. 7. CDW reserves the right to revise, amend or modify these Terms & Conditions, our other policies and agreements, and aspects of the Service itself. Notice of any revision, amendment, or modification will be posted on CDW’s website and will be effective as to existing users 30 days after posting same.